Named after Montana’s Capital City, the light cruiser Helena was barely two years old when it was struck by a torpedo at Pearl Harbor. passageways of the ship, incinerating sailors. Of the Helena’s crew, 34 were killed in the attack, and 69 more were wounded. 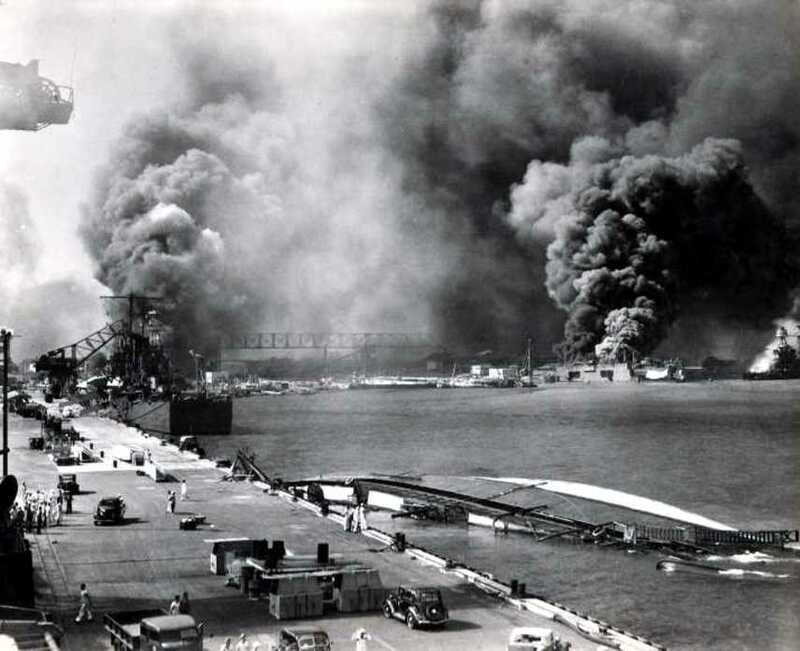 “There was guys on the docks stacked up like cordwood,” recalled Bill Sunderland of Darby, one of the Montana men aboard. The USS Helena was patched back together and managed to limp under the power of a single engine to a shipyard at Mare Island, California, where the ship underwent months of repairs. The Helena was then sent to the Solomon Islands to help in the Guadalcanal campaign. On September 19, 1942 the Helena helped rescue 400 seamen from the torpedoed USS Wasp. 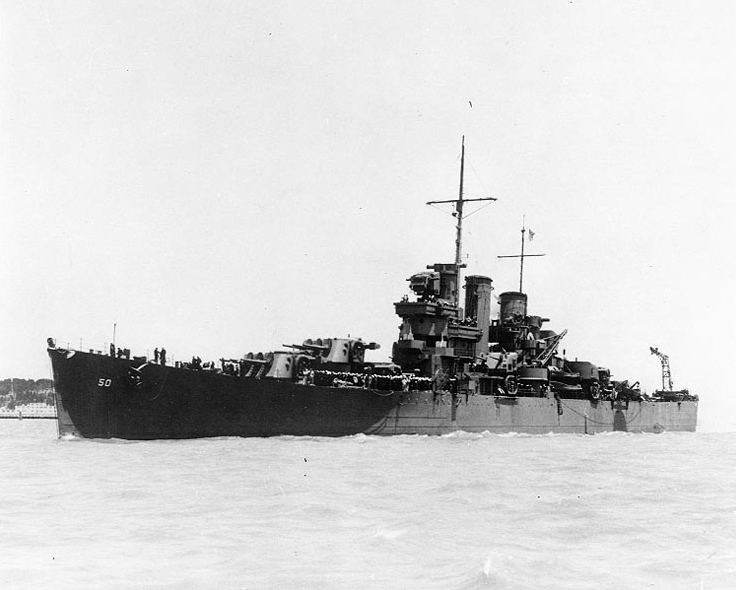 Only a few weeks later the Helena repeated its performance at the Battle of Guadalcanal, which an American admiral would describe as the “the fiercest naval battle ever fought.” The crack gunners promptly set a Japanese cruiser ablaze and then opened fire on three other enemy ships, including a much larger battleship. The battleship was so close that it couldn’t depress its guns enough to hit the Helena. 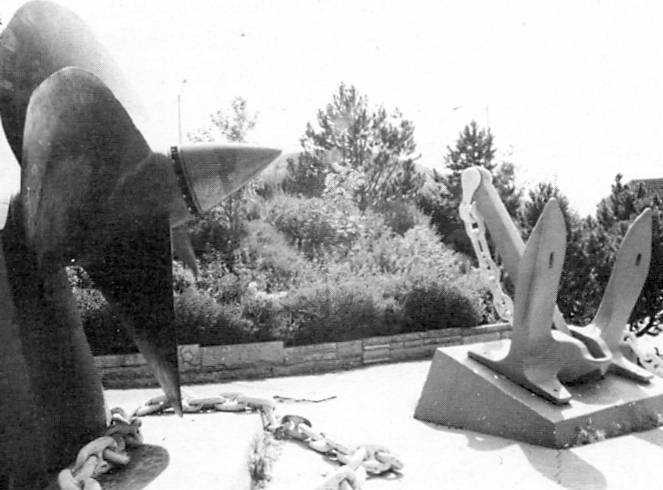 “The range was so close its fourteen inch shells were now passing over our heads: emitting a chugging sound from the compression waves,” remembered radarman Ray Casten. On July 6, 1943 an American fleet steamed into Kula Gulf in the Solomon Islands, where ten Japanese ships were soon encountered. Once again the Helena sank a destroyer and crippled another. The speed of the gunners made the Helena an awesome sight in battle, but the constant muzzle flashes also made the cruiser a well-lit target. Nine minutes after opening fire, a Japanese “Long Lance” torpedo slammed into the bow of the Helena near the No. 6 turret, killing everyone in the forward engine room. Radio officer C.G. Morris picked himself off the deck, “in total bewilderment, unable to believe we had been hit.” Two more torpedoes struck the Helena, and the order was given to abandon the ship. 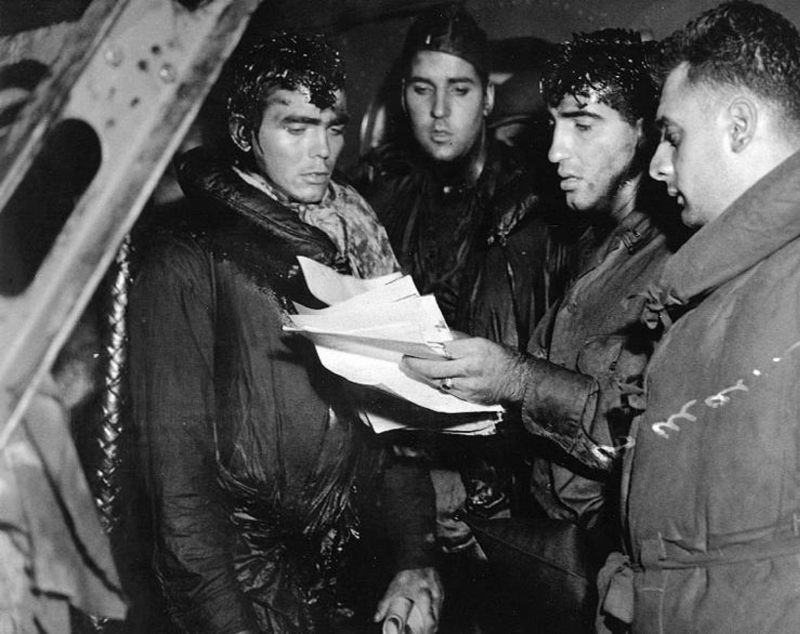 USS Helena survivors after being rescued in the aftermath of the Battle of Kula Gulf. A second USS Helena (CA-75) was launched in April 1945, and participated in the Korean War.